Kerem Early Years Unit provides the children with a secure and stimulating environment in which to explore their world under the expert guidance of caring, trained and qualified staff. We have a close relationship, both with parents and previous childcare providers, to enable a smooth transition from home to Nursery and between Reception and Year One at the Norrice Lea site. Children are admitted from the September after their 3rd birthday. From September 2019 there will be full day Nursery places available Monday-Friday. The routines and provision are of the highest quality so as to nurture and stimulate the development of each child. The Kerem curriculum is based on the National Curriculum guidance for the foundation stage (EYFS) and develops personal, social and physical skills, together with early literacy and numeracy. Through interesting and varied activities, the children’s understanding and knowledge of the world are extended. These areas all interrelate and take place within a Jewish framework. Concentration, perseverance with learning and self-reliance, all key skills for success with studies, are encouraged. Through play, the children develop their confidence and self-esteem and practise skills in co-operating, sharing, taking turns and problem-solving. As they act out different roles, they learn to view things from different perspectives and grasp important concepts. The children are given a wide range of experiences and activities which develop confidence and competence in communicating with both adults and peers. During story-time, the children’s listening skills and vocabulary are extended. Sharing books encourages their imagination and develops an awareness of the importance of the written word. Children are taught to recognise letters and sounds through a variety of methods and are able to read and write when they move on to Year 1. Concepts of size, weight, capacity, shape, money, time and space are introduced. The children are given opportunities to explore and create patterns, sequence and order. Teachers discuss these experiences using mathematical language. Songs, number rhymes, games and stories familiarise the children with counting and they are taught to recognise and use numbers. We develop the children’s physical control, mobility, spatial awareness and manipulative skills, both indoors through art, technology, music and movement and cookery, and outdoors in a large, well-equipped garden. The children are given the chance to respond to physical challenges within a safe and secure environment. The children’s curiosity about the world around them provides the starting point for scientific investigation. They are encouraged to inquire, test ideas, discover patterns and predict outcomes. The children have opportunities to use computers. They are taken on outings to extend their awareness of the environment. 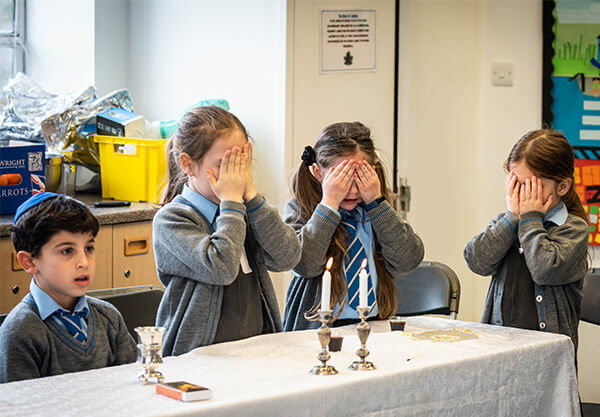 Within a structured and balanced curriculum, we integrate a variety of Jewish experiences, such as daily prayers, songs and Torah stories. The ethos promotes respect and caring for others. 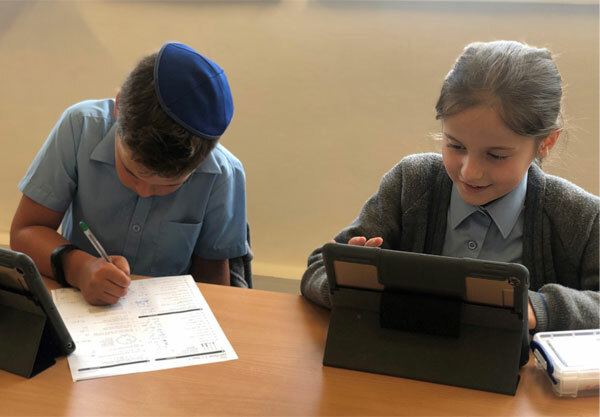 A love of Israel and Jewish traditions are developed and the children are introduced to spoken Ivrit and the aleph bet. 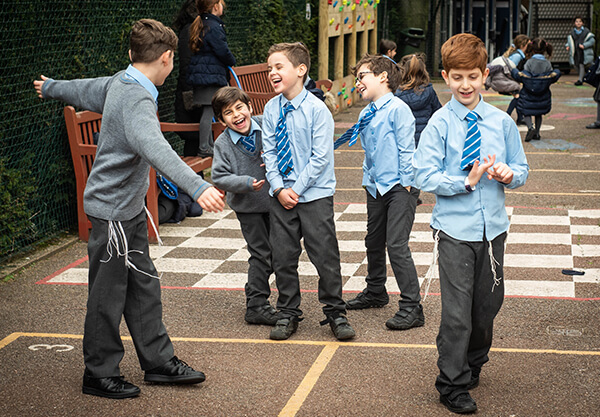 Our children spend their time at Kerem Early Years Unit in the positive and happy atmosphere of living Judaism where the Chagim are celebrated and the Shabbat party on Friday is eagerly anticipated all week.